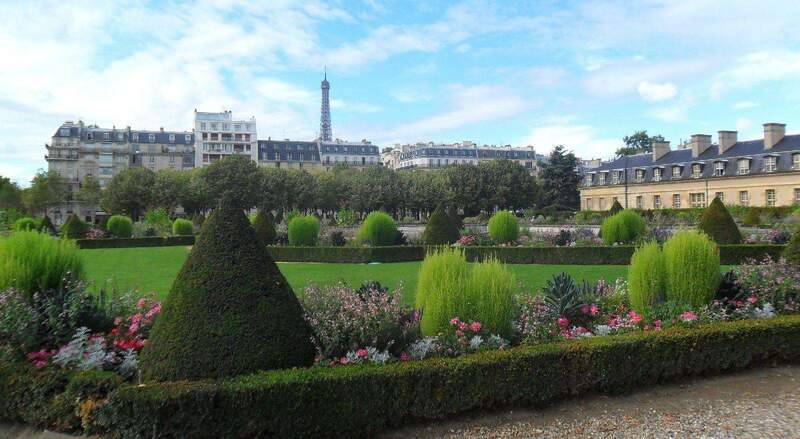 Paris Gardens, France. Taken by Colin Robinson September 2012. Wi-Fi Internet access, it seems that it’s anywhere and everywhere these days. But hold on a minute, not all Wi-Fi internet access is created equally. This is what this article is about; using Wi-Fi internet on the road, weather at an Airport, in a Hotel Room, at a Coffee Shop or other public place and in other countries for that matter. Back in the day when it was only dial up modems, you would simply find a phone jack, plug in and pray. Pray that the phone line you’re plugging into was good enough to access your AOL account and check your Email or hear those lovely words “You Have Mail”. Today, things are much different. All laptop computers, tablets and smart phones have Wi-Fi and the larger laptops even have an Ethernet port too. But we pay a price for the convenience of Wi-Fi and using it on the road. The price we pay is in the quality or speed of the service and security. Also, in the USA most public Wi-Fi is free, but that’s not always the case when you leave the country. 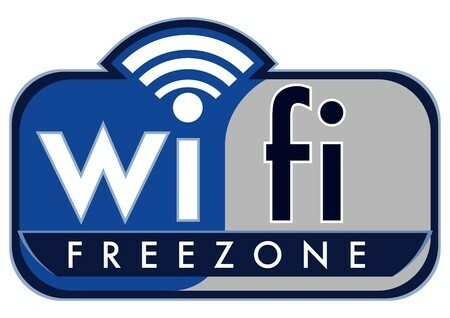 For the most part, public Wi-Fi especially the free Wi-Fi is offered as is. Meaning there are no guarantees on the quality or speed of the service. Also, security is an issue too. For me, Wi-Fi comes in three flavors: Fast (where I can stream Netflix movies), Slow (just for check Email and doing a little Web browsing) and so-so-slow to almost non-existent where I just give up, put the computer away and do something else instead. The quality of Public Wi-Fi is so sporadic it’s very rare to find a public Wi-Fi Hotspot where you can actually stream a movie without interruption. Also with Wi-Fi, you don’t always get what you pay for at paid hotspots. Do you want to use that Wi-Fi on the plane on your next trip? That’s ten dollars please and don’t expect your Facebook page to load anytime soon. With that said, there are some rather pleasant exceptions. Coffee shops for example offer the best and most consistent Wi-Fi connections; some restaurants and bars do too including fast-food restaurants. Airports and Hotels on the other hand are hit and miss; some are ok while others are of that third non-existent flavor I was talking about earlier. When you’re in a pinch and need to get connected to the internet you can pull out your smartphone and activate the Hotspot feature. This is ok when you are in your home country, but when outside your home country it can be a very expensive proposition. Not too long ago, I needed to use the hotspot feature on my smart phone while I was working in Mexico to check my Email. A ten minute connection cost me fifty dollars. In a lot of countries there is not much in the way of free internet. Also, the laws in some countries require positive identification before allowing you access to the internet from a public hotspot. I found this to be the case last year while in Italy. It’s always best to research the internet connectivity laws and pricing before you leave on your overseas trip. If you a member of a hotel loyalty program check that program as some of these programs offer you free internet access when you stay at their hotels overseas. Holiday-Inns for instance, starting doing this last year for members of their IHG Rewards program. Another good resource is Boingo Wireless. Boingo wireless sells roaming services across a network of over 800,000 hotspot locations worldwide. You can either use their phone app or website to find which paid hotspots you can access both inside and outside the United States. This service for access to global hotspots can be as high as fifty dollars per month. But on the other hand, it can save you as much as thirty dollars a night which it did for me when I went to Australia a couple of years ago. Also check into your home cable TV service providers offerings for on the road Wi-Fi access, as some of these service providers offer you Wi-Fi access when on the road . AT&T, Comcast, and Time Warner cable just to name a few include Wi-Fi access on the road to customers who subscribe to their internet-access at home. As stated earlier, when it comes to Wi-Fi Hotspots, security is a concern and you should take precautions accordingly. Remember, the last mile of connectivity is transmitted through the air as a radio signal between your computer and the Wi-Fi access point. Anyone with relatively unsophisticated equipment can intercept the digital conversation between your computer and the Wi-Fi access point. Even worse, it’s much easier for a person with not so good intentions to create an evil twin hotspot. An evil twin hotspot is a duplicate hotspot created by a hacker for the sole purpose of steeling your information such as your bank login details. The best way to circumvent these threats is to use encryption while on public hotspots. Although your web browser may show the lock and green status bar, this alone is not enough. You need to use a VPN (Virtual Private Network). There are many VPN service providers out there and some are even free. Just remember with the free ones someone else is footing the bill for you by paying the VPN Company to display advertisements to you. The paid VPN’s are a much better way to go and their service quality is generally much better also. VPN’s have two main benefits when you travel outside your home country. First, they encrypt that last mile of communication between your computer and the public hotspot access point, and secondly they can change your IP address location. Changing your IP address location back to your home is useful when using services such as online banking, Amazon and PayPal. On one of my trips to Mexico, I wanted to send my wife flowers because her little dog passed away. I used PayPal for the transaction only to have my account blocked because I tried to use my PayPal account from an IP address in a different country. PayPal saw it as fraudulent activity on my account and shut it down. If I used a VPN and changed my IP address to an IP addresses located back home in Atlanta this would not have happened. The VPN service I use is called PureVPN. When I stay in a hotel room, again I’m concerned about Wi-Fi security and that last mail between my computer and the hotel Wi-Fi access point. But if the hotel has a wired connection to access the internet, than I’m much happier. 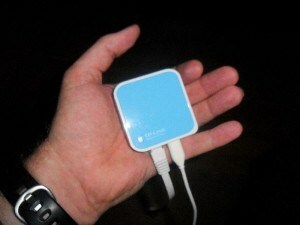 Mainly for when I stay in hotels, I use a small TP-Link Pocket Router with the SSID hidden and encryption enabled. I plug it into the hotel room wired internet port. The TP-Link Pocket Router is smaller in size, smaller than a credit card, about 0.7 of an inch deep and weighs about two ounces. Perfect size for the suite case, but best of all is its price of around $25.00. Using the TP-Link Pocket Router enables me to have more than one device connected to the hotel internet and not have my computer tied to the desk in the hotel room. And one final tip for when you traveling on the road and you are connected to slow Wi-Fi and have a large file to either upload or download. Log into your computer at home using a remote desktop service such as Logmein, and remotely upload or download the file from your home computer. This is also useful for when you’re traveling and don’t have much time to wait for that long download or upload for that matter. You can log into your computer at home, start the upload or download and simply log off, close your laptop computer and go about your business. The large file is being either uploaded or downloaded from your home computer while you are doing other things. One nice thing if you use the service such as Sugarsync, once you get to your hotel at night and connect to the Internet the file that you downloaded will come into your laptop via sugarsync while you are asleep. How to Check A Hotels WiFi Speed Before Booking a Room!